Here's another Xtracycle for your collection. 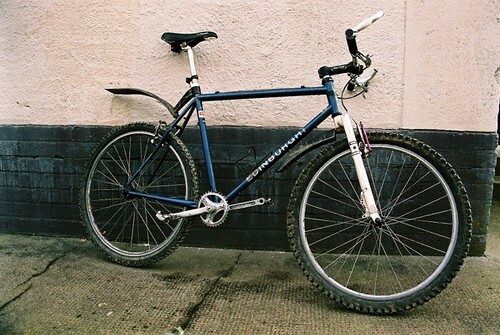 The conversion is based around a 1998 Edinburgh Contour 400 mountain bike which I've had from new. 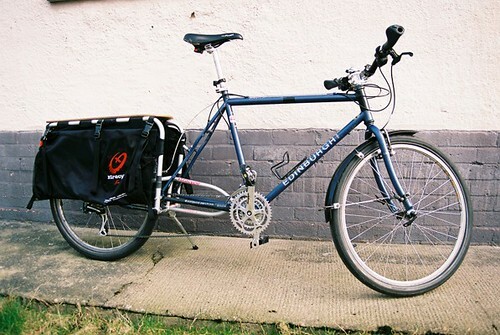 I bought the Xtracycle conversion from Practical Cycles in England. 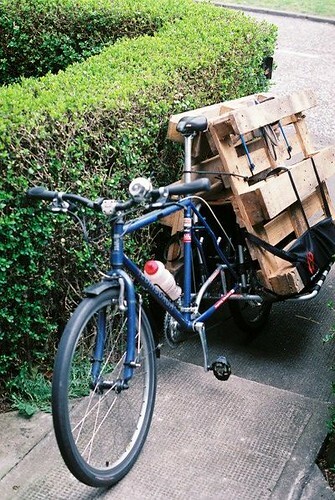 Since then I've carried loads of stuff with it (pallets, compost, a trombone, recycling, shopping, other bikes, my kids, friends, my kid's friends, a cat, and sometimes combinations of several of those things). I wouldn't say it's totally changed my lifestyle - I've never yet owned a car and have relied on bike trailers for carrying bigger stuff. However, it has made it really easy to carry bigger stuff without having to set up a trailer each time I need it. By the way, if you're going to carry pallets like this, take it slowly and make sure they're tied down really well. I had no trouble doing it. They're also much heavier than you think just from looking at them. Keep up the inspirational gallery!